GridCars has developed a back-office system that is in line with worldwide best practices and standards in eMobility. 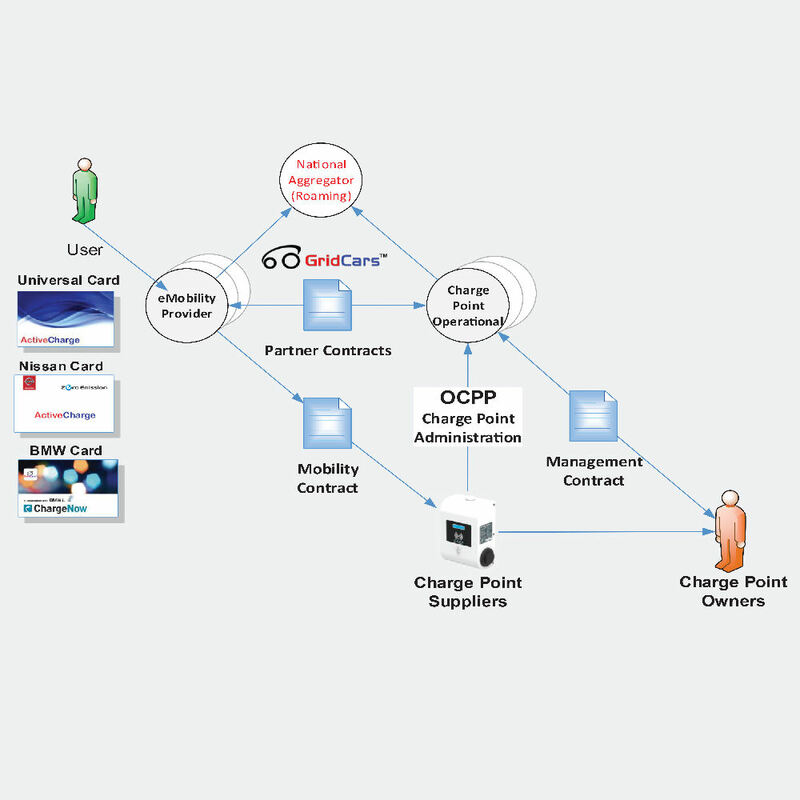 This system implements OCPP as the accepted standard for communication with Charge Point Infrastructure. This consist of 3 primary modules. Interactions between these modules are controlled through contracts between the physical parties.